Streakless window cleaning all areas Gold Coast. Steam carpet cleaning residential and commercial Gold Coast all areas. All insects, spiders and rodents, all areas Gold Coast. Driveways, eves, walls pathways, all areas Gold Coast. Spot cleaning, steam cleaning, all areas Gold Coast. Cleaning and insurance quotes, all areas Gold Coast. Carpet Cleaning, Window Cleaning, Pressure Cleaning, Fabric and Upholstery Cleaning, General Cleaning and Pest Control, all areas of the Gold Coast. All windows are guaranteed streak free. Our fast and reliable window cleaning service is a conscientious and diligent window cleaning service. We use no harsh chemicals and will not harm window finishes such as window tinting. We have invested heavily in professional grade carpet cleaning equipment and training to guarantee we can get the best carpet cleaning results on the Gold Coast. 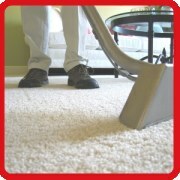 Both steam cleaned and dry cleaned carpet cleaning is available. Best results are achieved with steam cleaned carpets. Dry cleaning allows for the carpeted areas to be used almost immediately after cleaning. Licensed for Gold Coast and experienced, we can remove all bugs except termites. 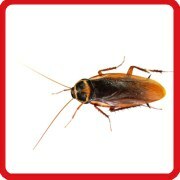 Our pest control service removes spiders, cockroaches, ants, silverfish and bed bugs, to name a few. We also remove rodents with safe, lockable rodent traps. Pressure cleaning is a great solution for many areas and to achieve best results Gold Coast Carpet Cleaning and Window Cleaning have invested in professional grade pressure cleaning equipment. This allows us to remove grime without need for chemicals, so we minimize the impact from run-off. Great for cleaning driveways, paths and eves. 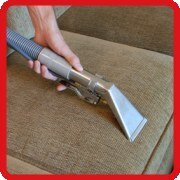 Fabric and upholstery cleaning with steam cleaning equipment, professional grade cleaning for the house or office. Shampoo cleaning and spot cleaning available. We delight our customers with the thoroughness of our general cleaning services. General cleans are a speciality and we know where the dirt hides, whether it be on fan blades, on top of cupboards or under fridges. Our popularity with older clients indicates the reliable the thorough approach we take with all general cleaning services. We welcome clients from commercial contracts to one-off residential cleans. 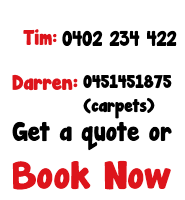 We treat all customers equally and give the same excellent, reliable and prompt cleaning services to everyone. 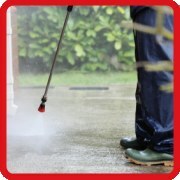 Flood Damage For fast, friendly and reliable pest control services and all cleaning services called Tim on 0402234422. Gold Coast Carpet Cleaning and Window Cleaning pride themselves on the quality of their cleaning and pest control services, the friendly way they attend to all cleaning and pest control customers as well as our prompt and courteous nature. If you 're after prompt, friendly and reliable cleaning services and pest control services and you're in the Gold Coast area please call Tim today.